Dodane manufactory was founded in 1857 and rapidly became known in the world of watchmaking for its research ethos and for the passionate interest of its ancestors in aviation. 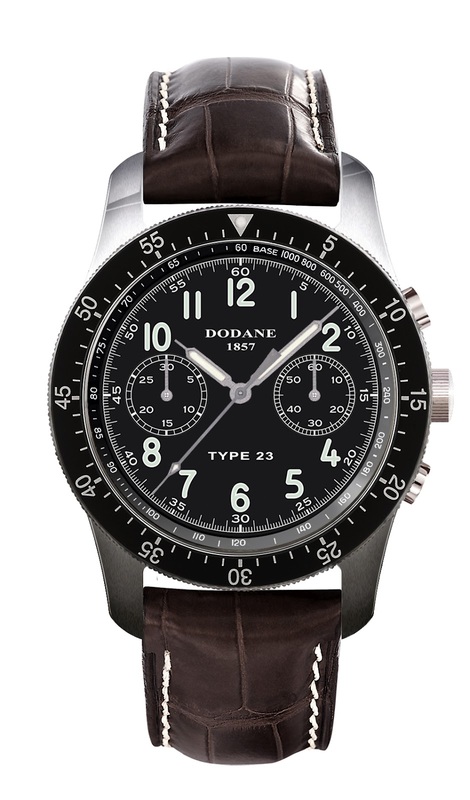 In 2005, the fifth generation of the Dodane's decided to re-issue the TYPE 21 in order to restore the brand DODANE 1857 and perpetuate the family's know-how. Now, in 2012, they have released the Type 23, of which more below. The accuracy of Dodane timepieces has been borne out by the results of exhaustive testing from 2006 to 2011. In fact, in 2006, 2008 and 2010, Dodane achieved the first position in tests conducted by the National Astronomical Observatory of Measuring Time of Besançon (France). In the other years, the brand ranked among the top five brands. Of 200 total tests, of which only 147 watches finished in the First Category of Chronometry since 2006, Dodane ranks first with 67 watches that have received this prestigious distinction. A chronograph can be designated an "Observatory Chronometer" if it meets the strict standards of accuracy established by carrying over 15 consecutive days of testing that include testing in 5 positions and at different temperature settings. 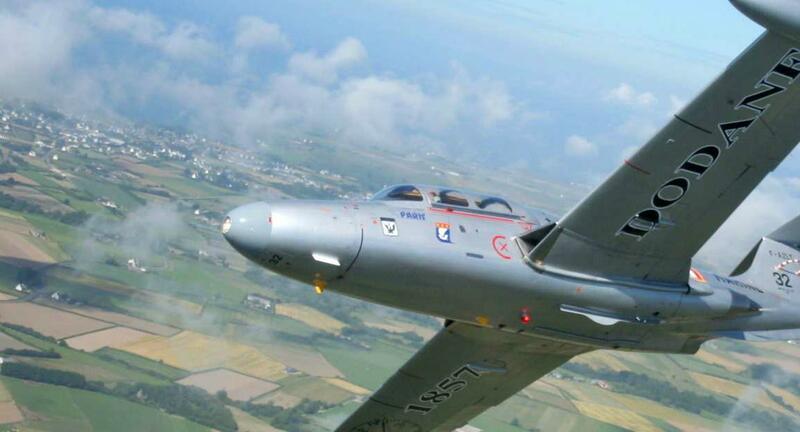 Dodane’s excellent quality stems from years of precise production for the French Air Force where the tolerance for failure is zero. 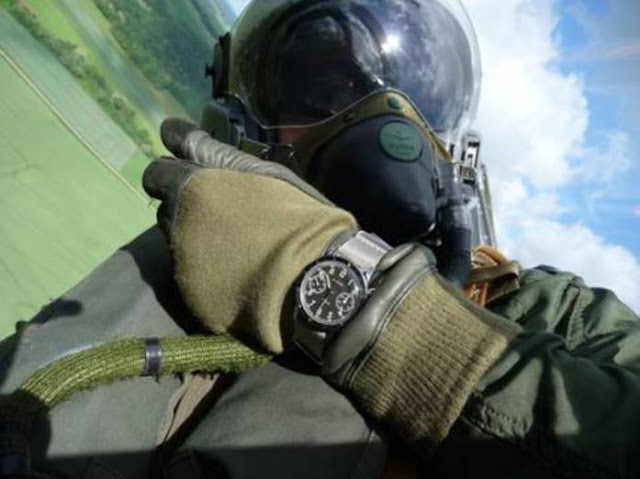 Whether used by military or civilian pilots, they are acknowledged by professionals to be irreplaceable instruments, as a result of their extreme reliability. Now we’ve established the credentials of the watch brand, let’s look at the most recent Pilot’s watch to come from the House of Dodane, the Dodane Type 23. France’s SIRPA AIR commissioned Dodane to make the Type 23. Previously they commissioned the Type 20/21 in the 1950s. In both cases performance was considered of prime importance. Dodane continues to exceed military expectations in quality and performance. Like its predecessor, Type 23 is a clean, accomplished aviation watch used to aid in pilot’s navigation. 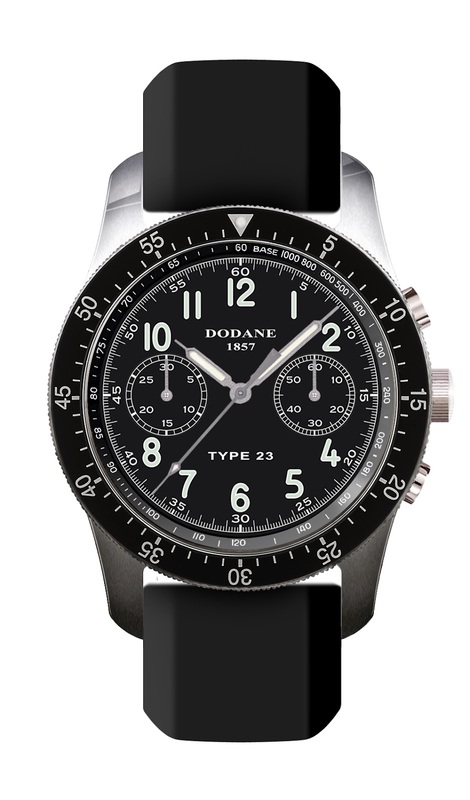 There is nothing showy or ostentatious about any Dodane aviation watch. The brushed stainless steel 42.5 mm case is understated but also sophisticated. The watch is suitable for far more occasions than piloting a plane, it won’t look out of place with formal wear or on smart casual occasions. 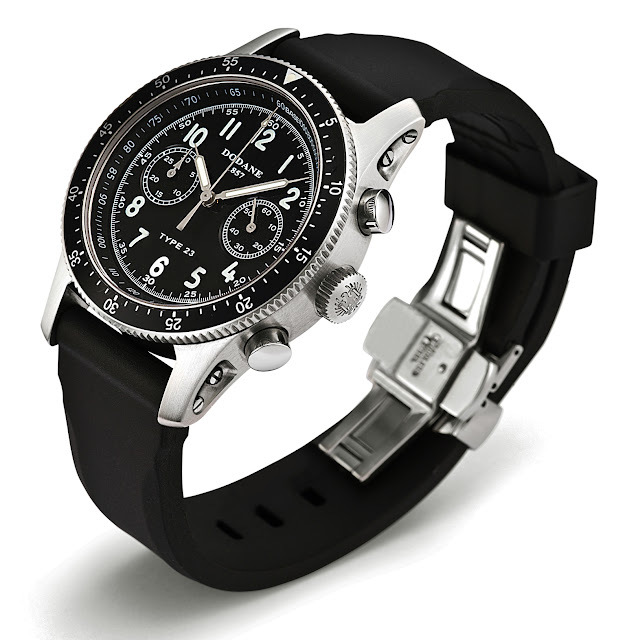 The Type 23 successfully straddles the dividing line between a consumer/civilian oriented model, and is available in both a flyback and a non-flyback chronograph. The watch runs on an automatic mechanical chronograph movement with flyback module produced by Dubois Depraz, who also supply to the likes of Audmars Piguet, Breitling, and Jaeger-leCoultre and Omega, so you can hardly complain about the company you are keeping. The Type 23 features three chronographs, located at the three o’clock, six o’clock, and nine o’clock positions. Also featured on the dial is a tachymeter, and the unidirectional bezel (available in 3 options) completes the sums of minutes and hours by acting as a countdown timer.